Skylark are based on the Dorset and Hampshire border and perform across the South Coast. Formed in 2013 as an acoustic duo performing at weddings and private events, they quickly became recommended wedding musicians at The Italian Villa (Sandbanks), The Larmer Tree (Salisbury) and The Kings Arms Hotel (Christchurch). In 2014 the duo expanded and began playing as an acoustic trio alongside a percussionist. In 2017 they began performing with saxophonist Claire to offer an alternative line up for evening receptions and private functions. This became a regular feature in 2018 due to popular demand. Skylark hold full Public Liability Insurance and all equipment is PAT tested. Please see below more information on the Skylark duo & trio line ups. 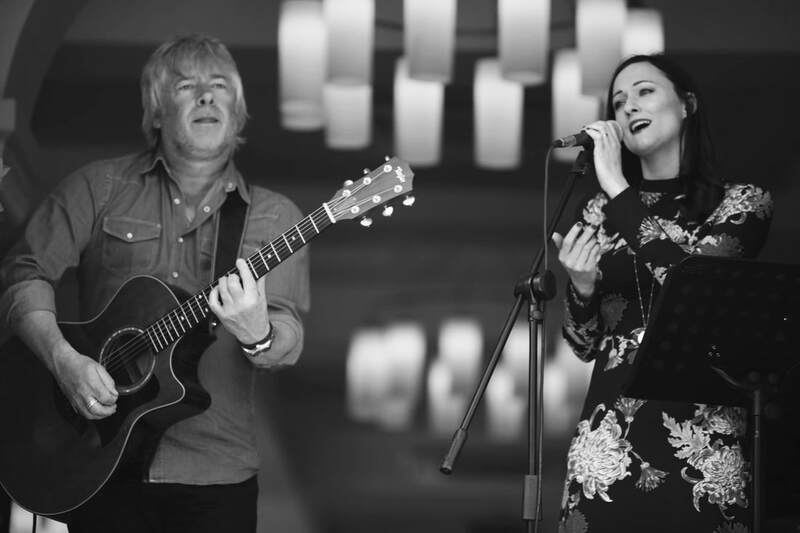 Leona & Mark are a vocal and acoustic guitar duo; perfect for a variety of functions and events - suitable for day time music at wedding ceremonies & drinks receptions. They work well for more intimate events where a full band is not suitable. Playing modern Pop, Rock, Country, Indie, Soul and Blues classics, each track has a simple, unique and beautiful arrangement to suit any occasion. Andy our percussionist or Claire our saxophonist can also be added if you require an alternative sound. Please click here for our current song List. Leona & Mark are joined by saxophonist Claire to offer a band for evening functions performing alongside professionally recorded backing tracks. ​Skylark trio perform a variety of dance floor classics ranging from 60's through to current hits to get everyone on the floor - they are a great choice for evening entertainment. We can provide a variety of lighting and sound options to cater for all events; indoor and outdoor from a small gathering to a large celebration. We can also cater for 'festival style' weddings and events. Please click here for song List. Leona & Claire are a vocal and saxophone duo; perfect for weddings and events - performing daytime or evening celebrations as background music or as lively evening entertainment. They also work well for more intimate events. Playing Pop, Soul, Jazz, Acid Jazz, Disco and Dance classics. We will tailor our sets for your occasion. We can provide a variety of lighting and sound options to cater for all events; indoor and outdoor from a small gathering to a large celebration.